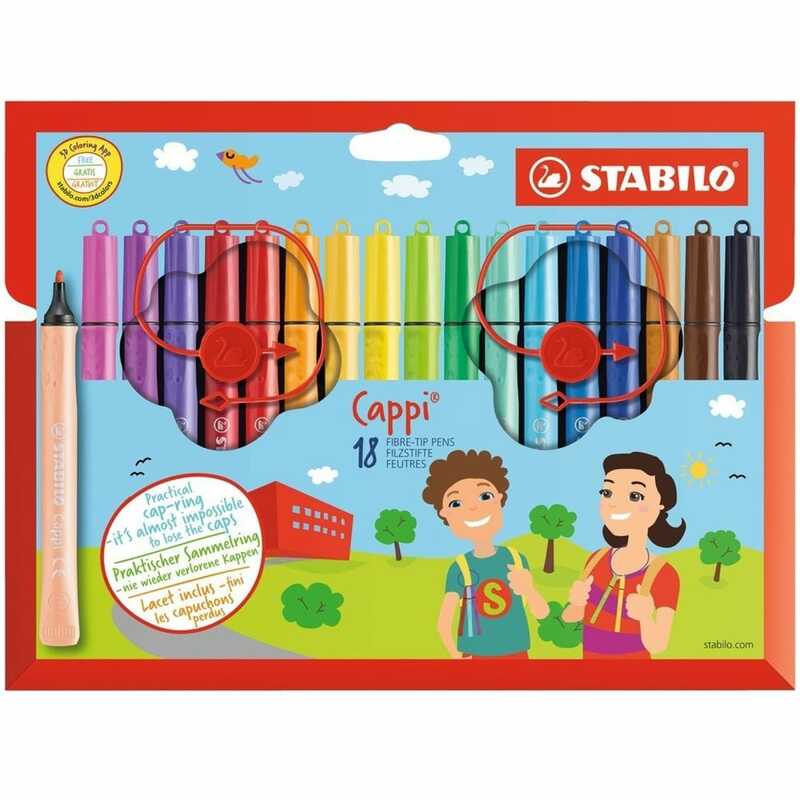 Stabilo 18 assorted Cappi are wonderful vibrant coloured felt tip pens to create pictures in school and at home. The ergonomic grip zone ideally designed for children’s hands and the unusual tube shape is designed so the pen doesn’t roll away and can be easily picked-up. Each pen has a loop on the cap so the pens can be threaded onto a cap-ring making it’s almost impossible to lose them. The pens are ideal for children age 6+, easy washable ink, a writing line of 1mm, ventilated cap (Can be left uncapped for up to 24 hours without drying out).